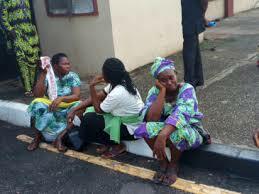 Parents of kidnapped Lagos students storm government house in protest – Royal Times of Nigeria. 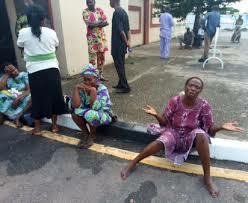 Devastated parents of kidnapped students of the Lagos State Model College, Igbonla, Epe, today gathered at the Government House, Alausa, Ikeja, to seek release of their children. Six male students were kidnapped by gunmen from their school premises two weeks ago. The parents numbering about twenty converged at the government house at 9a.m., with the mothers crying and shouting until they were addressed by a government official at 10.am. Some of the parents, who spoke with newsmen, said that the kidnappers told them on Tuesday that four of the students have taken ill. The parents prayed that the government should act fast, adding that they cannot raise the one hundred million naira ransom that the kidnappers are demanding. The spokesman for the parents, Mr Dapo Adesega, said that the kidnappers have decided not to negotiate with the parents anymore but with state government. Addressing the parents, Mr Muslim Folami, the state Commissioner for Local Government and Community Affairs, gave the assurance that the government will do its possible best to secure the children’s release. He appeals for calm.